The year is slowly but surely firing up to become another action-packed year. In our busy lives as parents, how do we consistently put good wholesome food on the table day in and day out? Meal planning can sound overwhelming and time consuming, but once you get used to it, it will actually save you time and money. After a long afternoon of children’s activities when the takeaway shop is calling you, you are more likely to resist if you have the ingredients at home to quickly whip up a healthy meal! …based on your chosen meals and snacks. 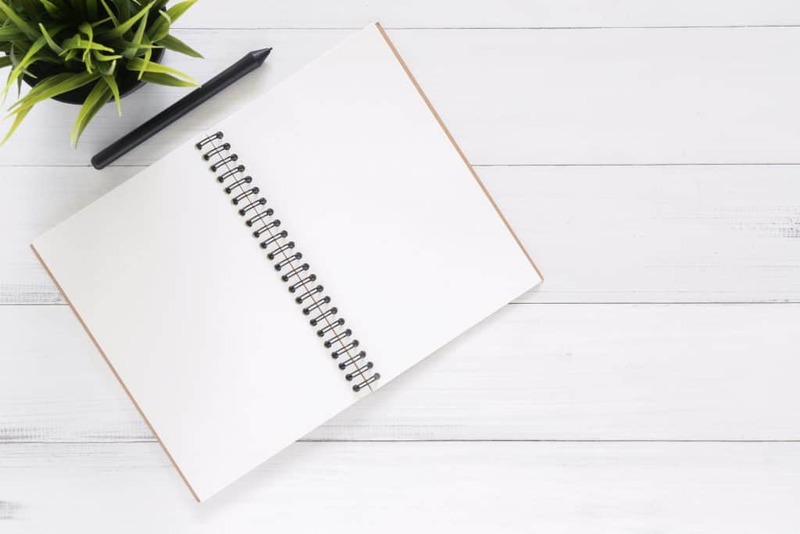 It doesn’t have to be a spreadsheet – just a simple list written on a piece of scrap paper you’ve stolen from the kids! A shopping list will not only save you time wandering around the supermarket but will also save you money! With appropriate supervision and safe utensils, this is a brilliant way to increase a child’s acceptance of new healthy foods. From savoury meals to homemade banana bread – sharing a love of cooking wholesome food will definitely pay off in the long run. Some weeks, you will need to stick to easy “go-to” recipes that are quick family favourites and just work. Other weeks when you have more time and energy you may be able to try a new recipe, or even get your child to pick a new recipe that you can cook together. Tweak recipes to make them more healthy, high in fibre and nutrient rich. 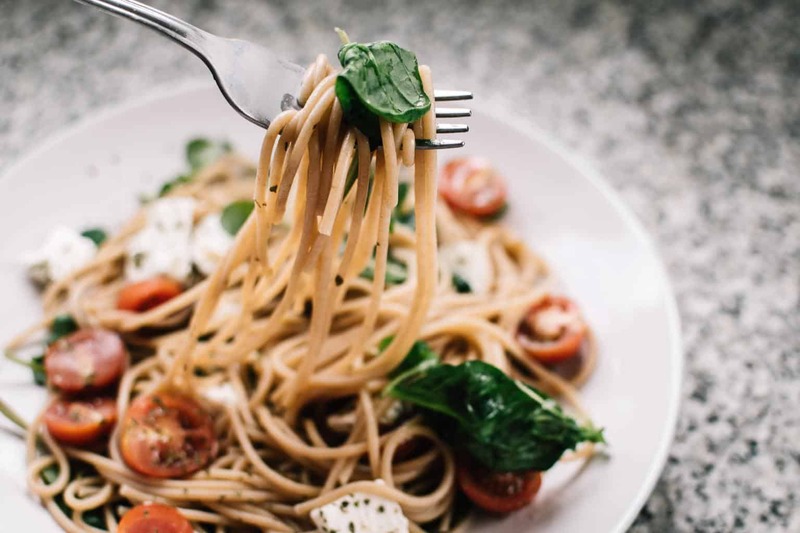 Hacks include: using wholegrain breadcrumbs for schnitzel (or I like to make them at home with grainy bread and oats), high fibre or wholemeal pasta, brown rice, add lentils or kidney beans into pasta sauces such as bolognese. Use wholemeal flour when baking or in pancakes, consider adding chia or LSA for more fibre and always try to reduce the sugar to ½ cup per cake or muffin recipe. Always make sure there is lots of colour! Include a variety of coloured veggies throughout their day – it doesn’t matter whether it’s in raw, frozen or cooked form. Having fruit and veggies consistently in their lunch box or on their dinner plate will definitely increase their acceptance in the long run. Make extra for dinner so that you can use it for a lunch addition the next day. Great ideas include homemade chicken nuggets, meatballs, fish cakes, mini quiche, zucchini slice, sweet potato wedges, boiled egg, roast chicken. Try to reserve 2-3 hours per week for cooking a few healthy kids snacks such as wholemeal muffins, banana bread, muesli slice, bliss balls. Kids are often looking for that starchy/sweet snack for afternoon tea and it’s so nice to be able to give them something loaded with nutrients rather than pulling out a packet of rice crackers or BBQ shapes. We are all in it together! Let’s face it – all of us experience challenges with feeding young children, so don’t ever feel like you are alone, we are just in different homes! Celebrate the small wins, eat together and have fun! Do you meal plan at home? 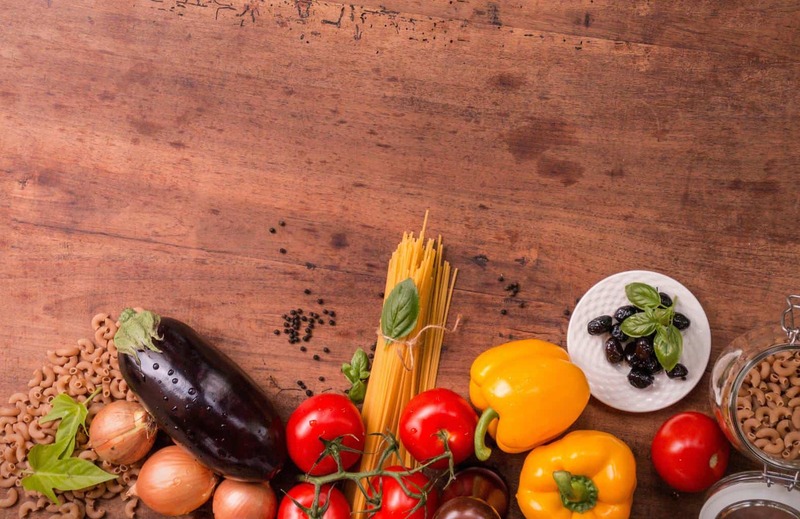 Could these meal planning tips above work for you? Do leave a comment and share. Why may also enjoy these meal planning tips here. Karina is a mum of 2 and Paediatric Gut Health Dietitian from Smartbite Nutrition. 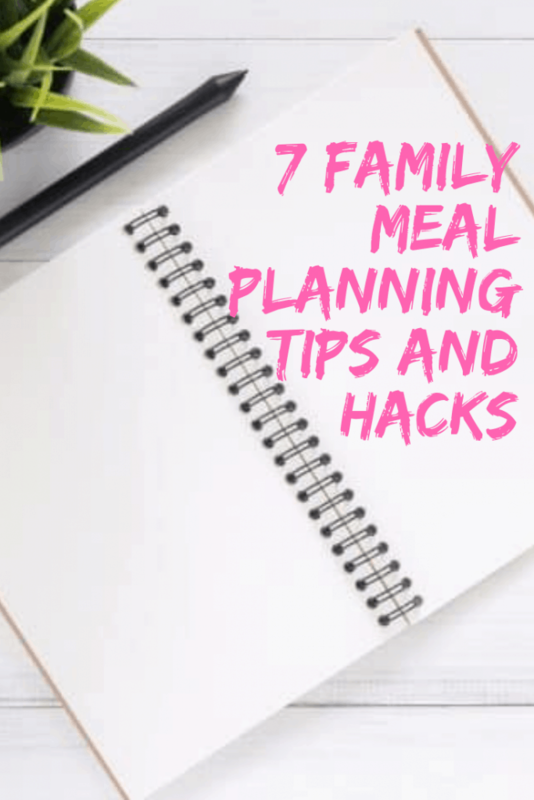 She truly understands how challenging it can be to keep the healthy meals coming – that’s why she’s sharing her 7 top family meal planning hacks to make your life easier.